ON Semi / Fairchild 2N3906 PNP General Purpose Amplifier Transistor BJT - Genuine! 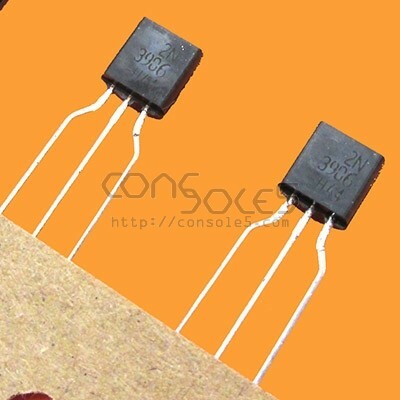 ON Semiconductor 2N3906 PNP BJT General Purpose Amplifier Transistor. Authentic product from an authorized distributor! ON Semi / Fairchild 2N3904 NPN General Purpose Amplifier Transistor BJT - Genuine!